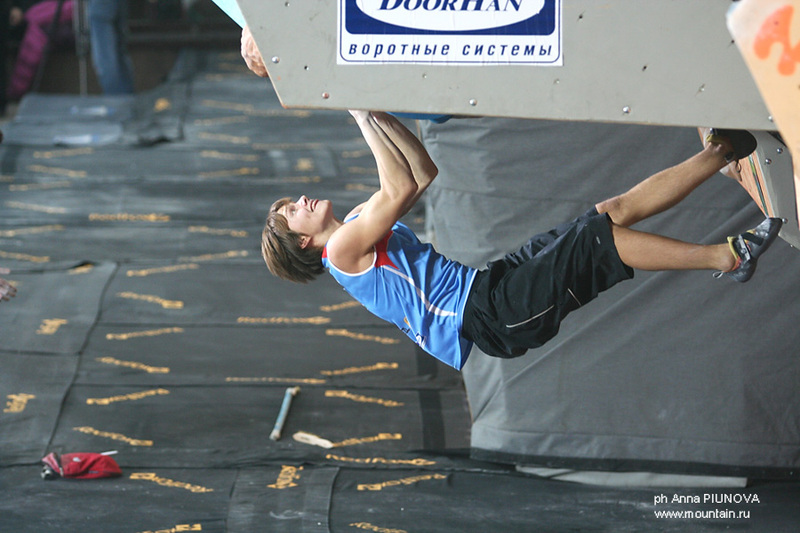 Alexey Rubtsov, 20, student (Moscow Aviation Institute), climbing since 17. MR: Alex, why you are the champ? А.R. : You can never exactly tell who’s the winner. It’s a detail, which makes it a show. Always last second intrigue. Making prognoses is common, but game bears surprise. There are chances for an unknown “black horse” athlete, who nobody considers even underdog contender, to give a good burn, and astonish everybody, and himself. Too hard to tell “why you are a champ”, when you don’t know it yourself. In the final I had five super strong rivals, almost all of them seemed invincible to me just few days ago. In the semis I was so lucky to go through, but somehow became 6th. The fact of making it to the final itself, had become for me big achievement, and i had been putting incredible effort for that. After that I could have relaxed, as I did more than enough, and was in the final, but taking rest at the hotel sofa before the i, I felt super nervous. My pulse was more than 200, probably, something stood in the way of my consent. It was like feelings kept telling “no, man, you must give it a final burn. You got to keep fighting. Don’t relax”. As time ran closer to the start of the final, the strain kept rising, and somehow I found myself totally relaxed at the start, the tension was gone. I felt much better, and I started to really enjoy the whole process. The problems looked very interesting, and I curiously awaited the moment to check them. The first three, I just flied over them, and did not even realize before the fourth route, that I needed 1st go to fully win. And I then thought something different from “you must do no mistakes, or you must do it 1st go” as it could often happen in your mind. What I thought then was “it’s been hard, but a nice and interesting path”. I couldn’t do it wrong. I already won it in my head. Topping the route was not a problem any more. And still, why exactly 1st place? I saw the actual fact of myself being in the final as a success, and few guys felt like bronze or silver would be failure for them. Well, I don’t know. 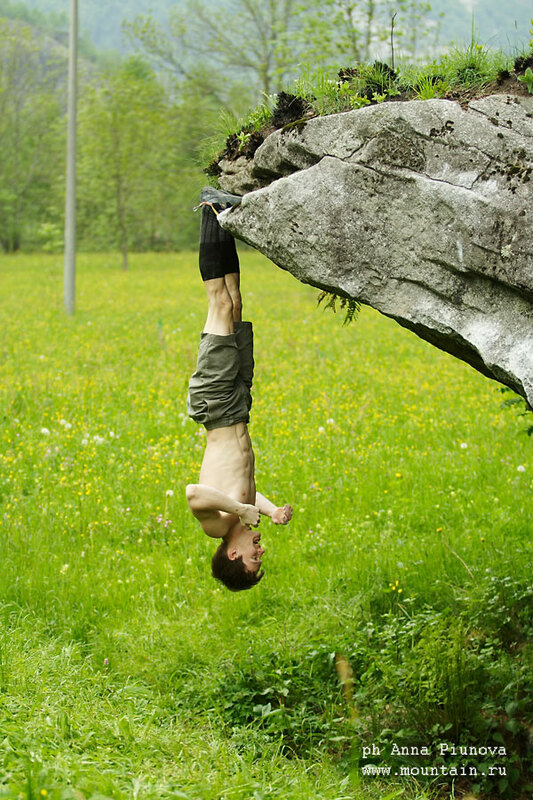 I was concentrated and fought till end, respecting others, and trying to show the audience piece of beautiful climbing, I loved every route, and good luck shed onto me. Hope to have fortune as an ally in the future. 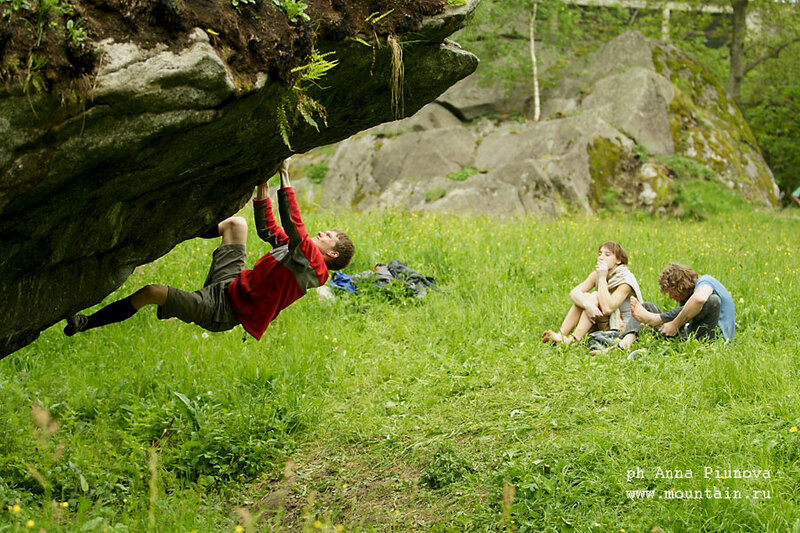 MR: One day you said you do climbing for three years. 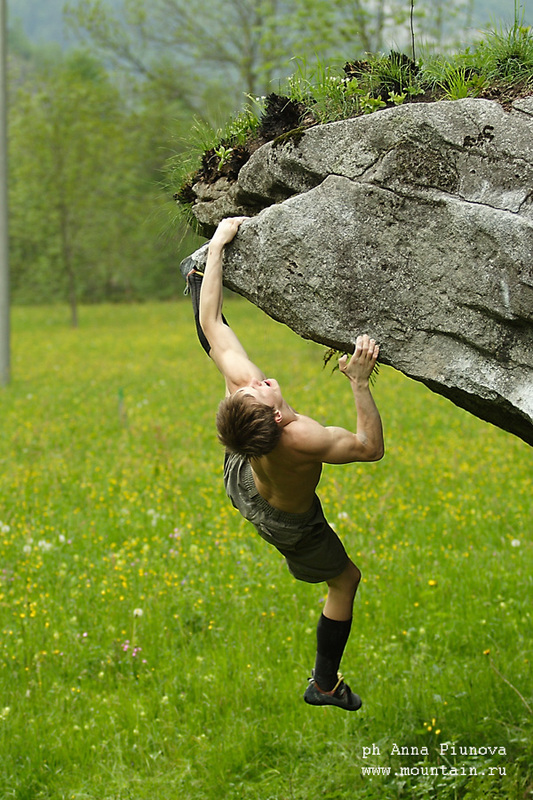 How is it possible to succeed on a steep path from beginner to a world champion? It looks so unbelievable. А.R. : The main is your firm decision to never retreat, no matter how long it takes. Never stop learning from own mistakes, and believe in victory. A good coach, parents’ support, good training conditions, great climbing company, climbers-friends, and my love and passion played its role. MR:Could you make your progress table? 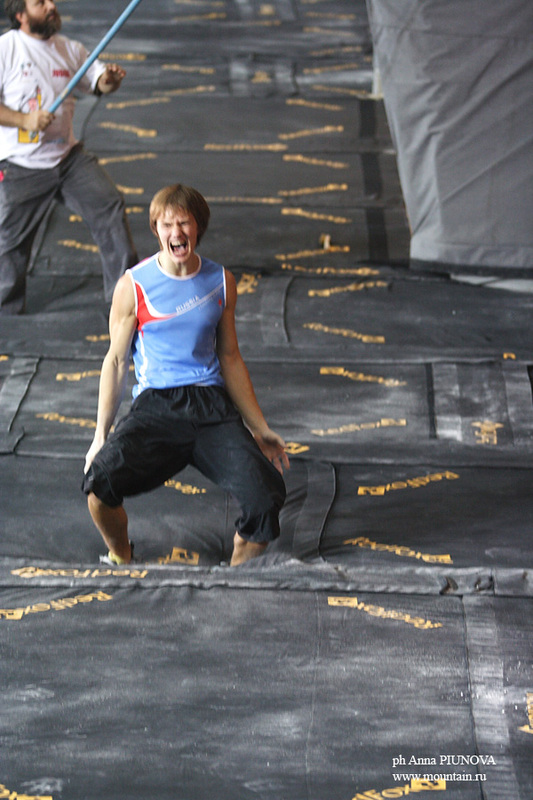 It’s difficult to say about bouldering grade I climb, I spent 7 or 8 days climbing bouldering outside, 5 of them at Melloblocco Bouldering festival in May, 2009. 1year 7 months 7с+ r/p. 1year 9 months 8b r/p. 2years 7months 7с+ o/s 8b+ r.p. MR: And again, which was the benchmark you set for your performance in China (getting through to semis, to final, or winning), and which you guessed were your chances? А.R. : For me final was a goal, and winning WC was what I hoped for. One day I curiously tried to calculate my chances, and it proved so sad. No estimations, only belief had become what I needed. In spite of bad luck at the last comps, I still kept believing. 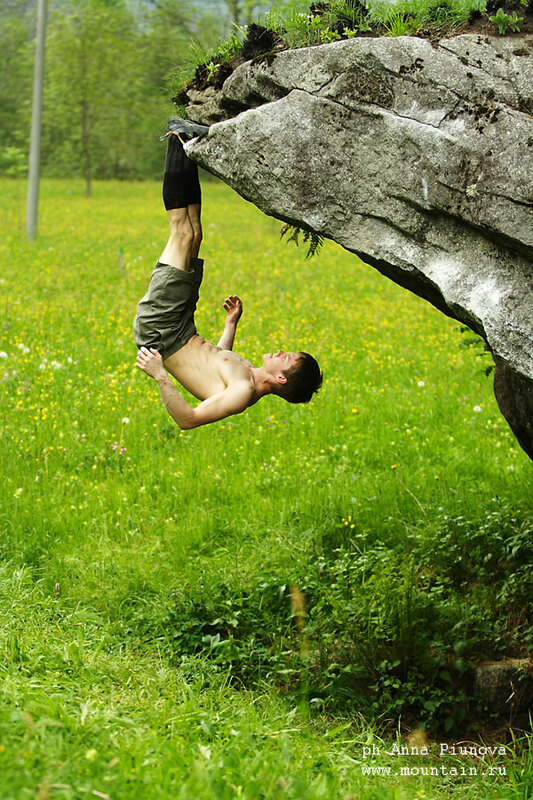 Your failures is a good experience to learn from before next comp, in case you do right conclusions. And generally I’m sure an athlete should not go to a comp, if he doesn’t have a firm hope for a success. Let the gold be not very probable, but you still got to believe, and fortune will be at your side. MR: Which is the role of good luck for winning at a comp like this? А.R. : If you are not ready, even biggest luck won’t help out. It is important, of course, the luck, but it alone is not enough, and lucky could also be the ones who deserve it. MR: How were you getting ready for China comps? А.R. : All peculiar psychological preparation features is my great secret. MR: Which was the moment you realized it went agonizingly close to winning? А.R. : After I did 1st route I became confident I should fight for a medal, as all the supposed leaders did more unnecessary tries on it, and I didn’t. 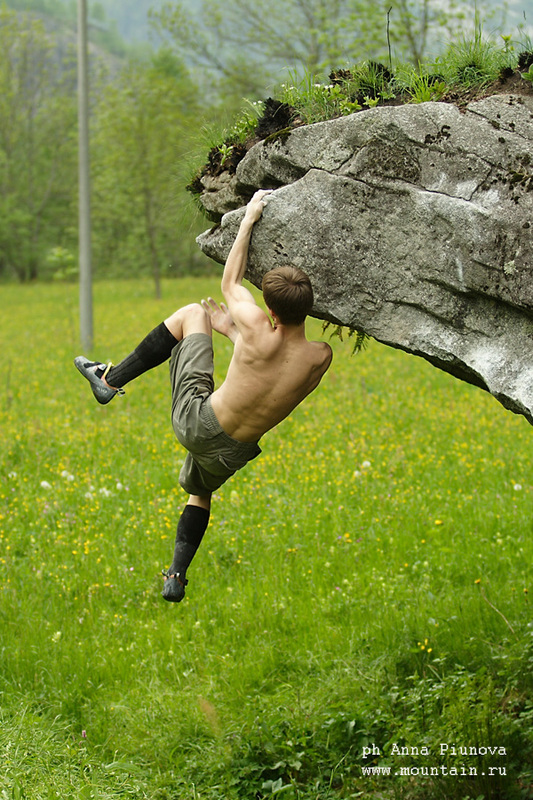 Other boulders looked easy. Essential was keeping away nervousness, and mistakes. 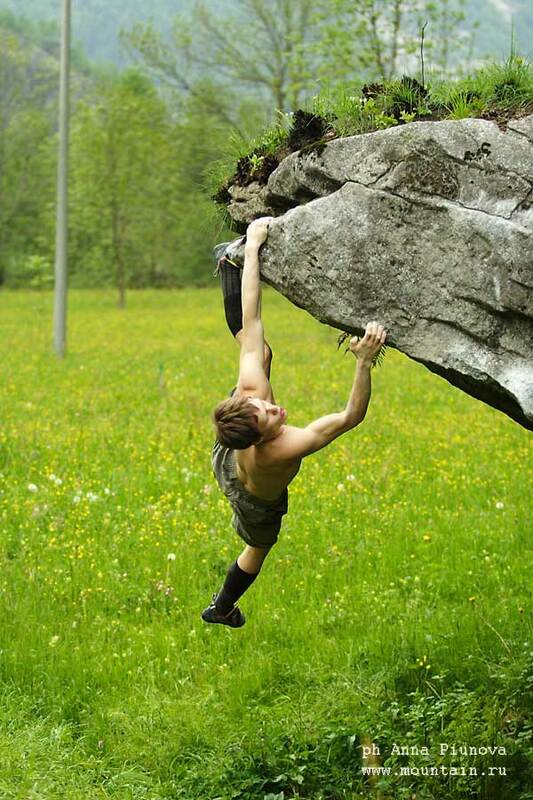 When I did the top on a 3rd route, I thought like “It’s now possible! Can it be really possible? Yeah, it will be interesting to see”. At this moment I fully trusted in victory. And even didn’t feel overexcited, unlike the others, who looked too stiff. I understood it was a great chance, and I couldn’t let it go. MR: What seemed hard, and what easy? А.R. : Semifinal has been hardest. It just proved to be generally hard, both morally, and physically. First route was about to become a total bummer. Five tries, but I did it. And as a result, it had been long expectation on the verge of doing it or not to the final, and I felt upset for some time, but my spirit was perfect once I got in the final, so it was easier afterwards. 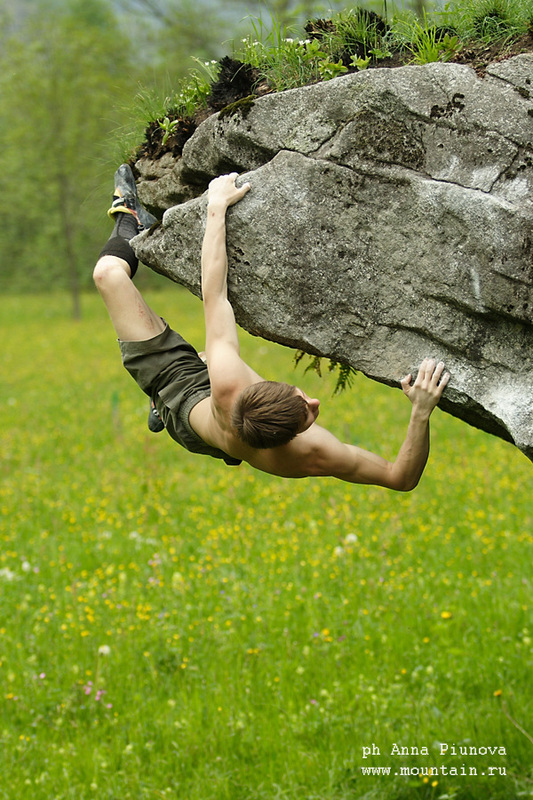 MR: You only do bouldering, or difficulty as well? 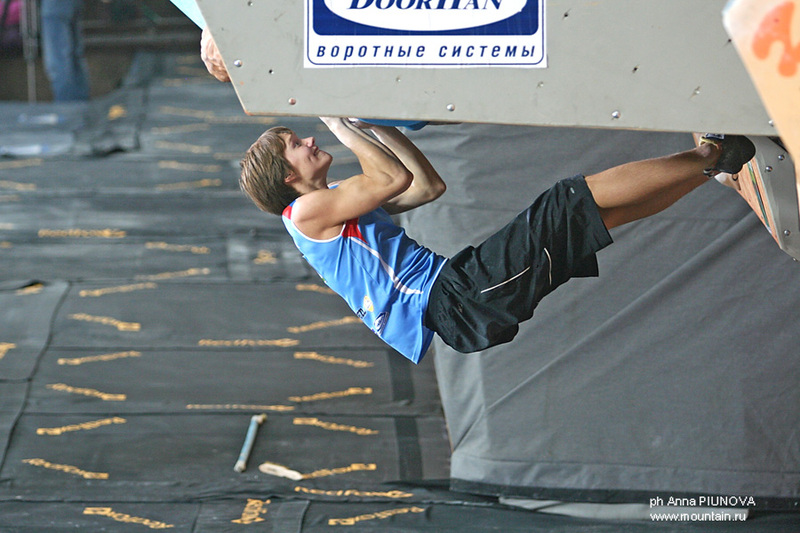 А.R: I ignored difficulty before now, but feel eager to seriously spend time on it, as next bouldering comps won’t be soon. I want to participate in international lead event. It will be great experience for me. А.R. : Rocks for me is nicest part of my life. 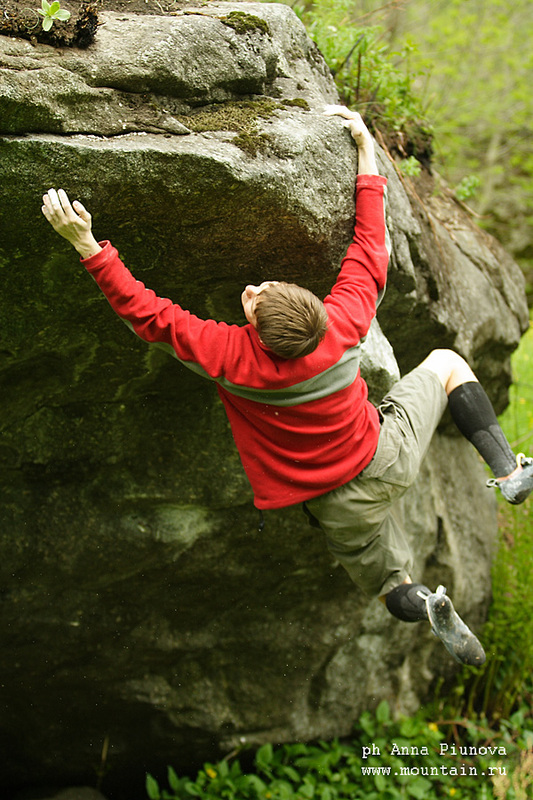 I prefer climbing as much as I can, but I could commonly climb at rock two months a year utmost. Hope to do more trips than ever. 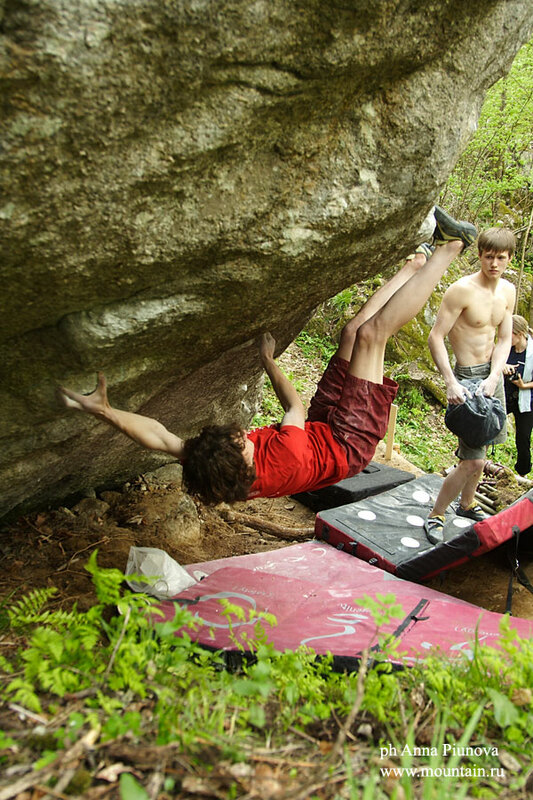 MR: What is the modern bouldering? А.R. : Endless body pain. Crunching joints and torn skin. 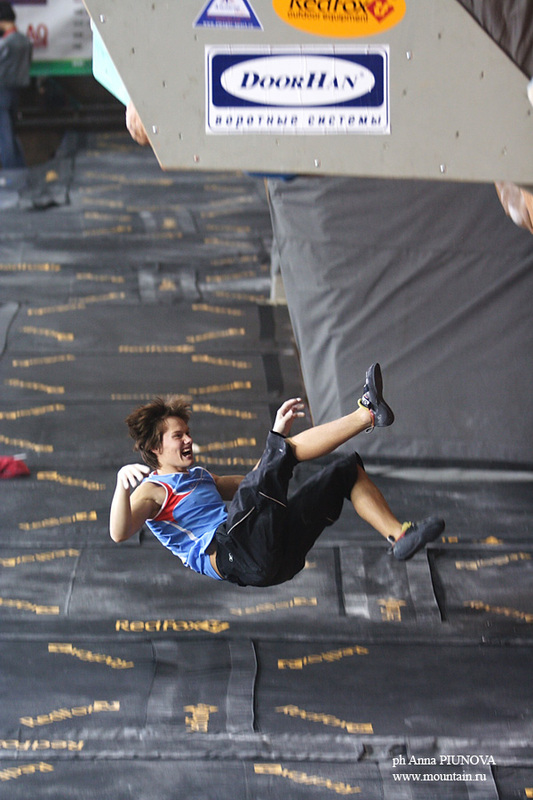 Smallest crimp, and worst sloper, and jump onto a final jug. Your crash-pad, your friends, and girlfriends. 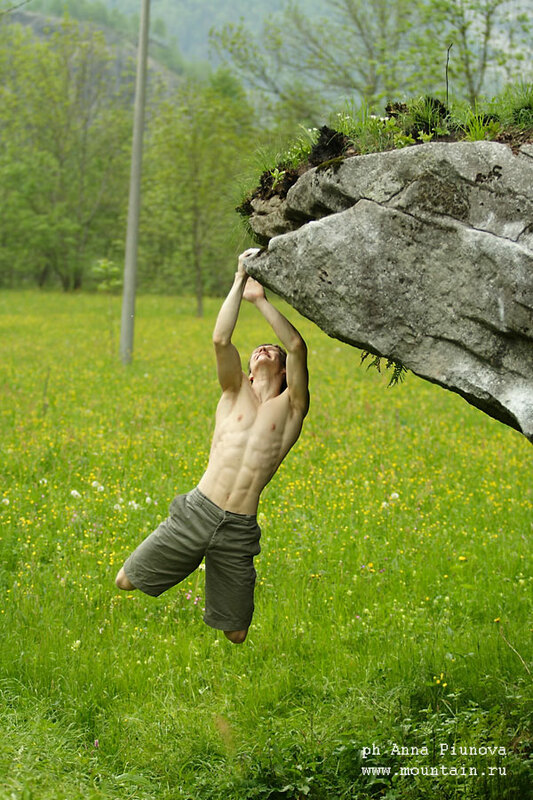 MR: Which features should a strong boulderer obtain? А.R. : He must be kind, nice, brave, smart, and funny. He may be strong, but that’s not most important. 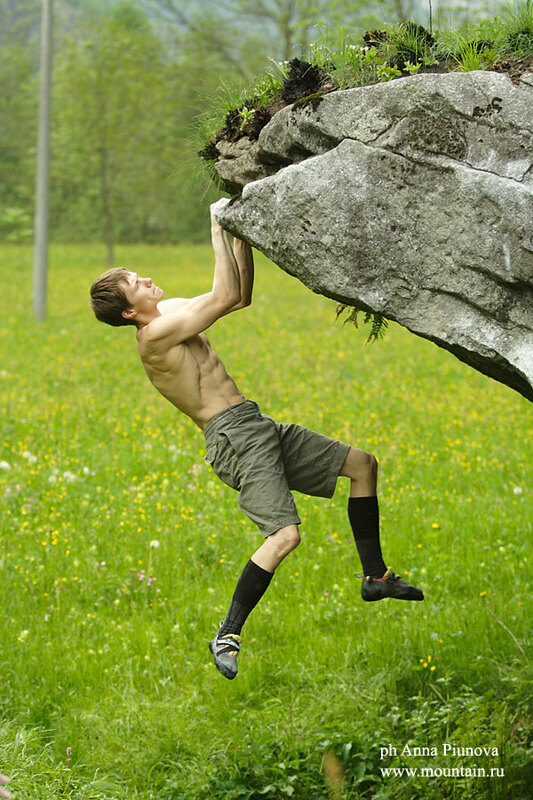 MR: What is your type of boulder problem? А.R. : Long reaches to tiny crimps. 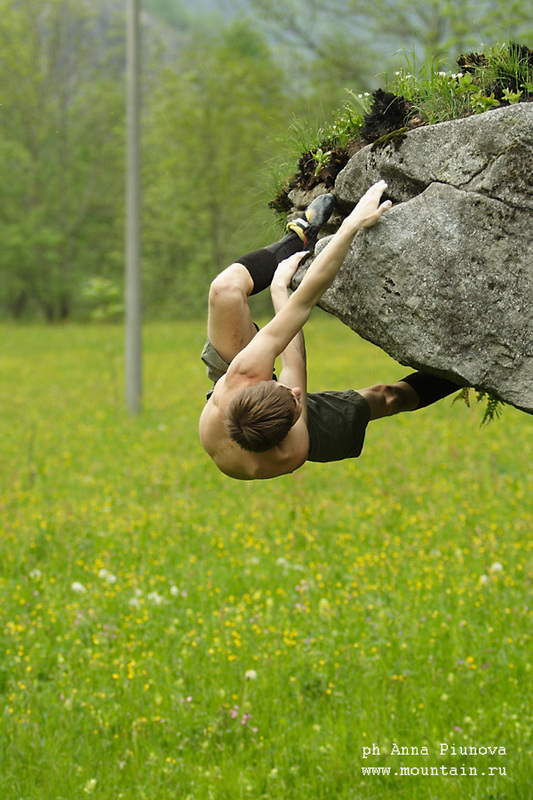 When training, I climb different routes, to avoid once running on a bummer, when you least expect it, so you must be ready for everything at a comp. But generally, the harder it is, the more I like it. MR: How often you train and what are the things you work out most? А.R. : I started working on it after my Vienna World Cup bad performance. 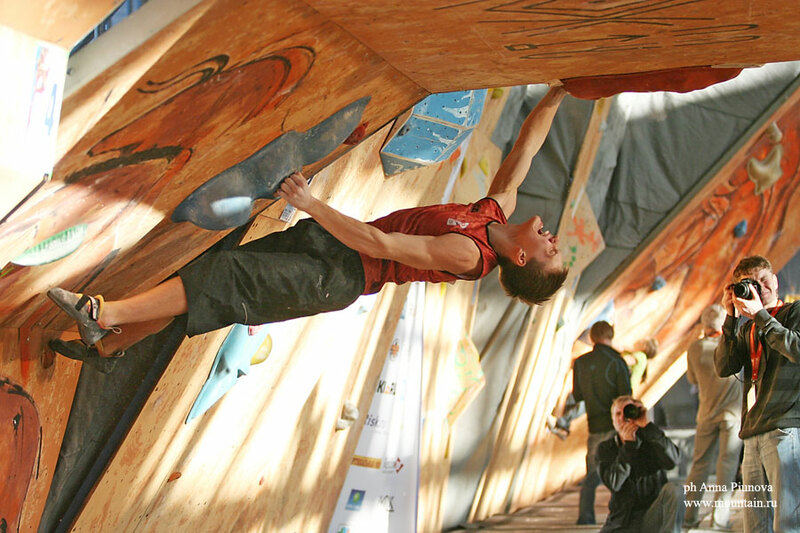 An athlete should display much more at a comp, than in a gym, is what I think. This art is a hundred percent psychological ability I do my best to train it. MR: Any other dreams after winning WC Title? А.R. : I dream about yellow «Lamborghini Gallardo», and winning at Melloblocco. Feels like really hard it will be, so I’ll just keep preparing. Thanks to everybody, see you around!! !